Simple programmable logic devices (SPLD) are the simplest, smallest and least-expensive forms of programmable logic devices. SPLDs can be used in boards to replace 7400-series TTL components (AND, OR, and NOT gates). 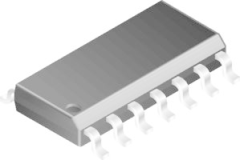 Simple programmable logic devices typically comprise 4 to 22 fully connected macrocells. These macrocells are typically comprised of some combinatorial logic (such as AND OR gates) and a flip-flop. In other words, a small Boolean logic equation can be built within each macrocell. This equation will combine the state of some number of binary inputs into a binary output and, if necessary, store that output in the flip-flop until the next clock edge. Of course, the particulars of the available logic gates and flip-flops are specific to each manufacturer and product family. But the general idea is always the same. Most SPLDs use either fuses or non-volatile memory cells (EPROM, EEPROM, FLASH, and others) to define the functionality. One chip requires less board area, power, and wiring than several do. The design inside the chip is flexible, so a change in the logic does not require any rewiring of the board. Rather, simply replacing one PLD with another part that has been programmed with the new design can alter the decoding logic. Memory cells control and define the function that the logic performs and how the various logic functions are interconnected. Logic devices can be classified into two broad categories - fixed and programmable. As the name suggests, the circuits in a fixed logic device are permanent, they perform one function or set of functions - once manufactured, they cannot be changed. With fixed logic devices, the time required to go from design, to prototypes, to a final manufacturing run can take from several months to more than a year, depending on the complexity of the device. And, if the device does not work properly, or if the requirements change, a new design must be developed. 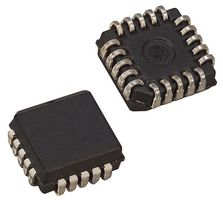 On the other hand, programmable logic devices (PLDs) are standard, off-the-shelf parts that offer customers a wide range of logic capacity, features, speed, and voltage characteristics - and these devices can be changed at any time to perform any number of functions. With programmable logic devices, designers use inexpensive software tools to quickly develop, simulate, and test their designs. Then, a design can be quickly programmed into a device, and immediately tested in a live circuit. The PLD that is used for this prototyping is the exact same PLD that will be used in the final production of a piece of end equipment, such as a network router, a DSL modem, a DVD player, or an automotive navigation system. There are no NRE costs and the final design is completed much faster than that of a custom, fixed logic device. Another key benefit of using PLDs is that during the design phase customers can change the circuitry as often as they want until the design operates to their satisfaction. That's because PLDs are based on re-writeable memory technology - to change the design, simply reprogram the device. Once the design is final, customers can go into immediate production by simply programming as many PLDs as they need with the final software design file. There are several manufacturers with many different families of PLD devices, so there are many variations in architecture. The two major types of programmable logic devices are field programmable gate arrays (FPGAs) and complex programmable logic devices (CPLDs). The distinction between the two is often a little fuzzy, with manufacturers designing new, improved architectures, and frequently muddying the waters for marketing purposes. Together, CPLDs and FPGAs are often referred to as High-Capacity Programmable Logic Devices (HCPLDs). The programming technologies for PLD devices are actually based on the various types of semiconductor memory. As new types of memories have been developed, the same technology has been applied to the creation of new types of PLD devices. The amount of logic resources available is the major distinguishing feature between SPLDs and HCPLDs. Today, SPLDs are devices that typically contain the equivalent of 600 or fewer gates, while HCPLDs have thousands and hundreds of thousands of gates available. Of the two types of HCPLD devices, FPGAs offer the highest amount of logic density, the most features, and the highest performance. FPGAs are used in a wide variety of applications ranging from data processing and storage, to instrumentation, telecommunications, and digital signal processing. CPLDs, by contrast, offer much smaller amounts of logic - up to about 10,000 gates. But CPLDs offer very predictable timing characteristics and are therefore ideal for critical control applications. 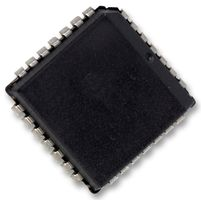 Some CPLDs require extremely low amounts of power and are very inexpensive, making them ideal for cost-sensitive, battery-operated, portable applications such as mobile phones and digital handheld assistants.